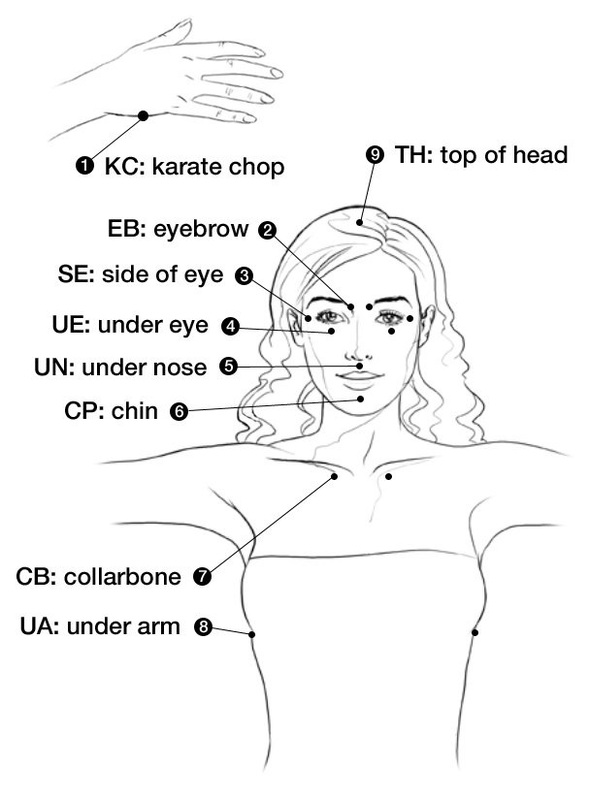 EFT, also known as “Tapping” and short for “Emotional Freedom Techniques,” is an evidence-based self-help and clinical tool which is like a psychological form of acupuncture, but without the needles. It combines traditional Western Psychotherapy with Acupressure and consists of tapping with your fingertips on specific acupuncture points called meridians or energy channels while talking through a wide range of negative emotions, beliefs, or thoughts. When these emotional issues are combined with physical stimulation of meridian points, the body and mind appear to work together to help heal many psychological and physical problems. EFT is one of the most powerful bridges between our conscious and subconscious mind, and our physical body. Applying EFT helps the body mind to process, integrate, and facilitate balance which allows healing to occur. By bringing together the powerful brain functions of intention and reasoning, expressed through language, with the physical act of tapping on the points, we are sending signals to the parts of the brain that govern survival instincts, known as the fight- or-flight response. This allows us to release imbalances in a way that is gentle, safe and healing. In addition, the exciting new biology of epigenetics (the study of how environmental factors can switch genes on and off and directly affect our well-being) has proven that cells are responsive to their environment whether psychological or physical- which is where EFT and nutrition come in. Research has shown that thought originates in the brain as a result of neuronal firing and this generates a measurable electromagnetic field (1). The theory behind EFT is that negative thoughts disrupt the body’s energy system. In turn, the body interprets such disruption as a negative emotion. EFT targets the intervening step, aiming to correct the energy imbalance by removing the emotional charge from the original thought, belief, emotion or memory. Think of energy disruption like a TV with a short in a wire. The effect of this short is a ZZZZT (as described by EFT founder Gary Craig) on the image seen on TV. The impaired flow of electricity causes the problems with the TV image. When the flow of energy is disrupted in people, some parts of the body experience a shortage of energy and others too much. The physical EFT tapping with the tips of the fingers on acupuncture points clears this ZZZZT. In this way the energy travelling through these channels is balanced again and flows freely throughout the body. EFT is similar to Nutritional Therapy in that it empowers you to become an active participant in the management of your well-being. Please remember that EFT isn’t a substitute for medical diagnosis. Research has begun to establish an observable scientific basis for the subtle energy system on which EFT is based. Numerous studies have shown that the acupuncture meridians on which we tap are no longer imaginary lines, but tiny threadlike anatomical structures that physically exist. Meridians are the channels along which energy circulates through your body. Research also shows that stimulation (such as with tapping) of the acupuncture points is effective whether needles are used or not (1). So, how does EFT actually work? It works by literally rewiring your brain’s connection to food and emotions. There’s a law called Hebb’s law which says that neurons which fire together wire together. If you have a recurring negative thought, the neuron, which carries the pulse of the thought, connects with other neurons and the bundle of neurons gets thicker and thicker. After you’ve repeatedly thought the same negative thought for years you’ve built a huge neuronal bundle to deal with that issue. When you do EFT you activate that neural bundle, and the body gets a different signal- namely that it’s safe. This then de-activates the conditioned neuronal stress response triggered by the negative thought, and replaces it with a neutral response instead. “Bringing to mind an emotional trigger, problematic scene, or unresolved traumatic memory activates the amygdala (a part of the brain which plays a key role in the processing of emotions), arousing a threat response. 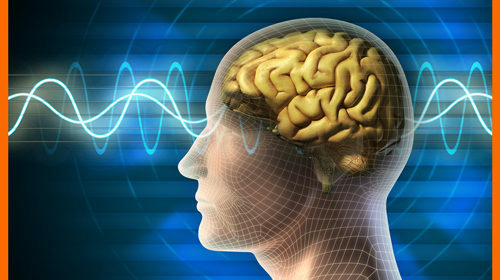 Stimulating selected acupoints, according to Harvard studies, simultaneously sends deactivating signals to the amygdala. Repetition of the physical intervention resolves these opposing signals by reducing the arousal while the trigger is still mentally active. The hippocampus (a region of the brain that is associated primarily with memory) records that the memory or trigger is being safely engaged without a stress response, and the neural pathways that initiate the associated stress response are permanently altered. You can use all four fingers, the three middle fingers or just the first two (the index and middle fingers). Four fingers are generally used on the top of the head, the collarbone, under the arm… wider areas. On sensitive areas, like around the eyes, you can use just two or three. Now, with three fingers on one hand, tap the Karate Chop point on your other hand. The Karate Chop point is on the outer edge of the hand, on the opposite side from the thumb. Repeat the set up statement three times aloud, while simultaneously tapping the Karate Chop point. Now take another deep breath! Now that you’ve completed the sequence, focus on your problem again. How intense is the anxiety now, in comparison to a few minutes ago? Give it a rating on the same number scale. Sometimes people find it difficult to pinpoint exactly what they want to work on, and this is no problem; issues don’t all have to be “figured out” in advance of your visit because part of the artistry of EFT is that by working on one particular issue EFT often shows us where we need to explore next. Although some problems can dissipate within just one session, usually issues are more complex and present numerous different “aspects” to be worked through. Sometimes an issue arises during EFT which becomes more significant than whatever the client originally intended to work on. Sometimes problems that seemed enormous dissolve as a by-product of working on another issue. None of these factors can be predicted at the beginning of the session- they are part of the elegant simplicity and brilliance of EFT. You are also encouraged to use the techniques on their own between visits, although it is certainly not compulsory. This can accelerate the process and is also very empowering because it allows you to become an active participant in the management of your well-being. After your visit– you can expect to discover new insights and perspectives, feel lighter and more relaxed, and to have a new emotional first-aid tool you can use for the rest of your life.